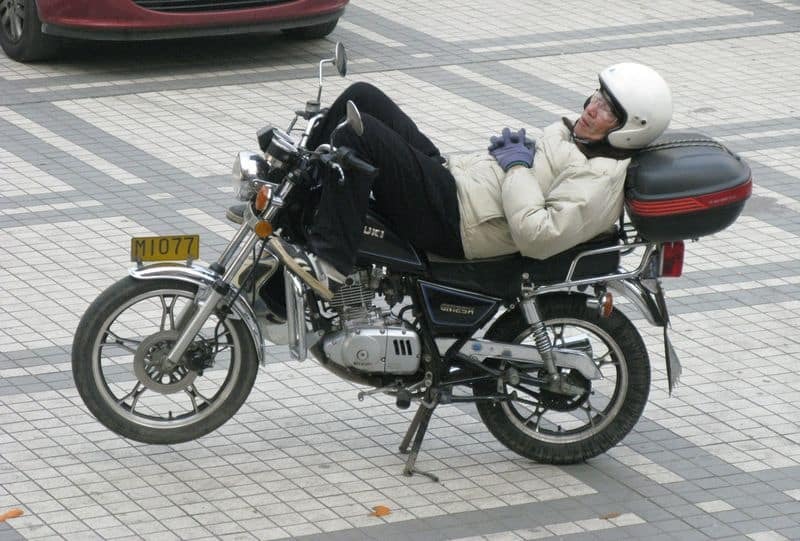 If you are planning a road trip on your bike, make sure it is a comfortable one. Of course, you can always make a few modifications to improve its comfort level. In case you are thinking to rent, make sure you pick your ride wisely. Do your research and find the one you can easily handle and take care of. Bikes with a softer seat, different handlebar, sharp headlights, and guards are better when you are going on an off-road trip. A ‘cool looking bike’ shouldn’t be the only matter of concern for you. To have a smooth and successful road trip, having the right ride is crucial. You can find a variety of luggage carriers for motorbikes available today. The best ones are saddlebags, which can be easily fixed on the sides or back seat of the bike. Other great bag ideas include tail-bags and tank bags, which include magnets to hug your tank right away. In addition to choosing the right bag, you must also decide on your luggage very carefully. When going on a road trip on a motorbike always prefer packing light. Get disposable stuff so you can discard it after use. Carry sachets instead of bottles for most of the things. Avoid carrying a lot of changes of clothes either. Make a list and prioritize all the essential items before you are set to pack. For road trips – especially on a motorbike – dressing appropriate is imperative. Always try wearing riding pants, a comfortable t-shirt, ankle boots, a full-face helmet, and bring the jacket you feel most comfortable with. If you are expecting a bumpy ride on two wheels, it’s best to pick elbow and knee guards for more protection. Wear fitted clothes as baggy gear can cause discomfort for long distance riding. If you’re doing dirt bike, here are 5 mistakes you should avoid with your gear. Factors like ‘hydration’ often take a backseat when considering all important aspects of a motorbike road trip. You need to be backed up for proper hydration while on the go. Hydration is essential and if stopping for water bothers you, consider investing in a hydration pack. The water bottle in a bag not only keeps the water cold but also comes with a long tube that you can use for drinking water without stopping. Keeping yourself hydrated is very important to be on top of your game. You may need more rest while on a biking road trip than you usually take. Sitting on a bike for long hours without a break can cause saddle sores. Know when your body and bike are asking you to stop for a break. Avoid going overboard with it as it will only lengthen your trip and eventually make it frustrating. Use the break to rest and also to check if you need to refuel your tank and if your bike is in good conditions. This will save you from unexpected difficult circumstances. This is the perfect time to embrace technology and rely on GPS if you are not good at remembering roads. If you want to take this to the next level, consider investing in a helmet with Bluetooth so that it can provide you with GPS directions. In case you are traveling to remote areas with no network, carrying the hardcopy of maps can be really helpful. It can at least give you a fair sense of the area you are in. Also, asking locals for directions is better than getting lost. 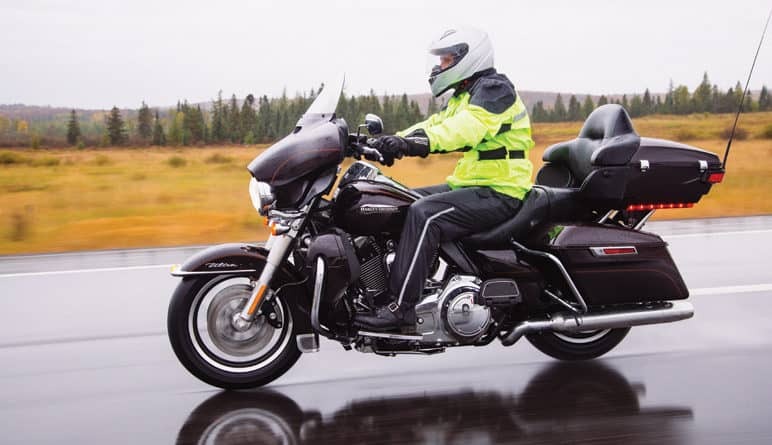 Unlike a car trip, you need to be more cautious of weather conditions when going on a motorcycle road trip. It may start pouring unexpectedly, or the temperature might be higher than normal – ensure that you are prepared to deal with it. 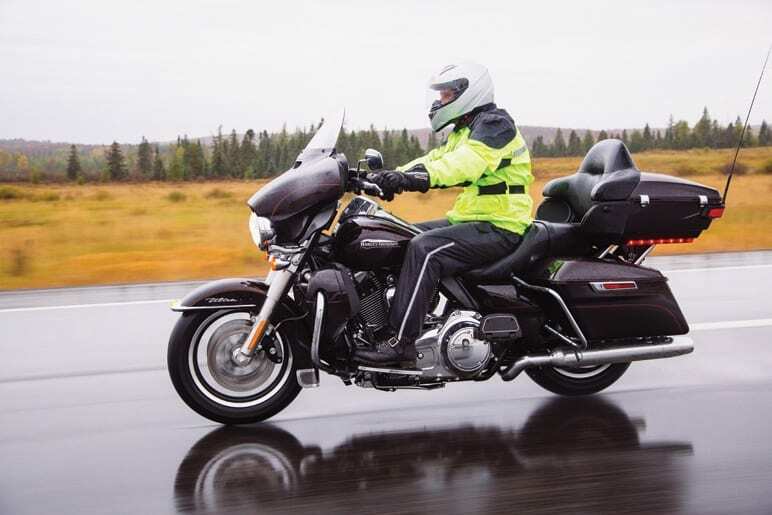 Carrying raincoats and riding gear that provide proper cover for your luggage is a must. Sometimes it can get extremely loud on the highway. So, once you hit the main road, put your earplugs on to avoid extreme pressure on your ears. As an alternative, you can even use headphones and play your favorite music to enjoy your first solo biking road trip. It’s best to opt for off hours for eating, especially on the highway. People usually stop at regular lunch and dinner times at restaurants on the way, which means dealing with long waiting hours and crowd. If you readjust your eating hours to odd timings – like 11 am for lunch or 5 pm for dinner – you can avoid all that hassle. Eat well but keep your stomach light when out and about on a motorbike ride. The most exciting part of a motorbike road trip is when you start enjoying it to the core. That’s when the experience will become outright beautiful. Feeling tired and frustrated can mess up the entire plan. So, keep the spirit high no matter the circumstances. 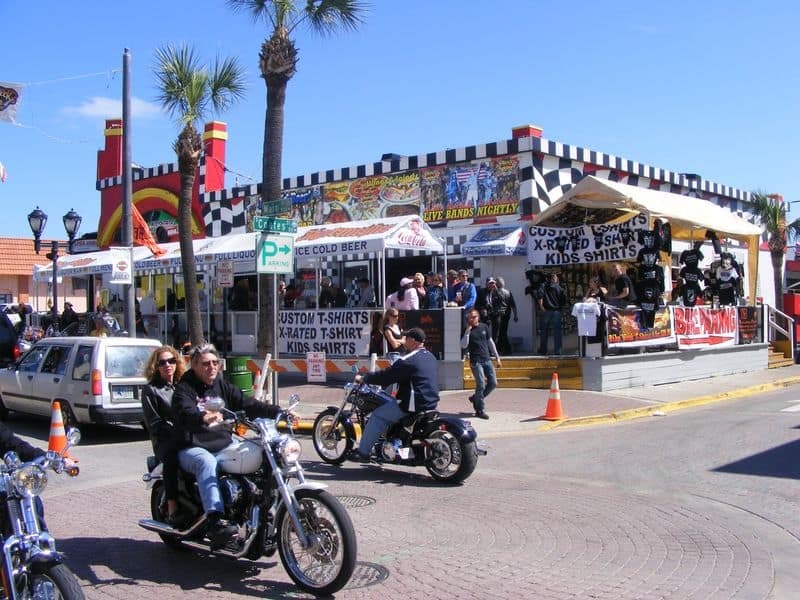 To make sure your first motorcycle road trip is the best, take your motorbike to a mechanic for an expert checkup. Your bike may need a little tweaking before you set out on your road trip. Keep all the essential spares to avoid tough times on the road. Generally, you will need a spare tube, brake cables, spark plugs, accelerator cables, etc. Last but not the least, you can also sign up for an organized motorcycle tour that will plan everything in advance for you! About the author: Ashley Rosa is a freelance writer and blogger. As writing is her passion that why she loves to write articles related to the latest trends in technology and sometimes on health-tech as well. She is crazy about chocolates.